In today’s fast-paced world, what better way to access information than on the internet? 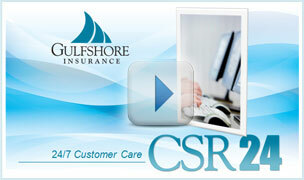 At Gulfshore Insurance, we offer the flexibility and support needed with customer care 24 hours a day, 7days a week! CSR24 is available to our business clients and provides access to informational resources and tools to help clients manage policies and communicate with their service team. To learn more about this great service or setup access, please contact us at 239.261.3646 or click the link below. This is available for business clients.